A few years ago while visiting a rose garden near Brenham Texas with my mother, I bought a Julia Child rose. 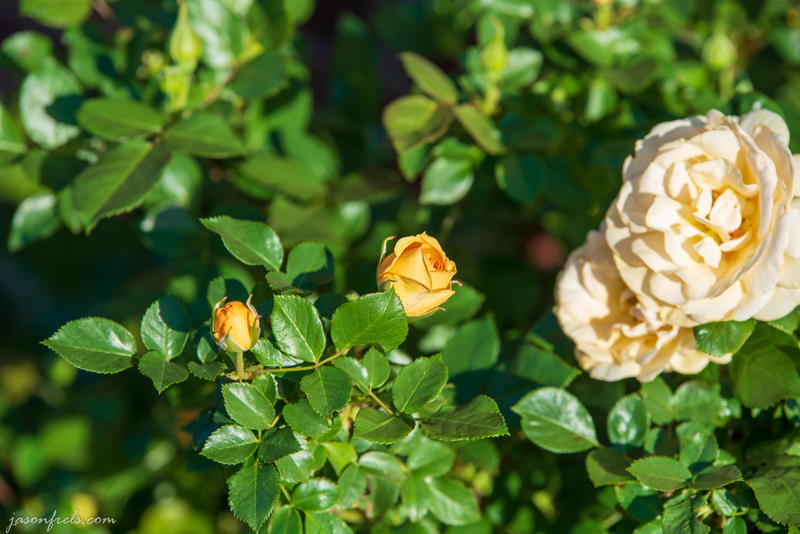 This is a yellow rose that apparently famous chef Julia Child chose to bear her name. I liked the yellow color and I kind of liked the tie-in with Julia Child, so I bought it and planted it in my front yard where it gets sun all afternoon. For the first year after planting, it didn’t do much other than stay alive and establish itself. Since then it has grown quite a bit and makes beautiful bright yellow blooms year-round, except for winter. I do very little to take care of it and it seems quite happy in the central Texas sun. 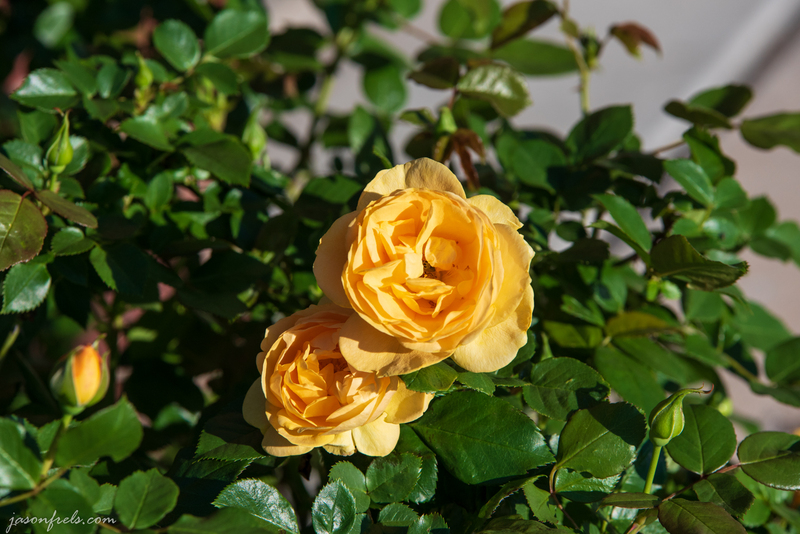 Below is a photo of some blooms on my Julia Child rose with my driveway unfortunately in the background as I was trying for a good angle on the sunlight. I decided as a fun project that I would track the progress of a bud by taking a picture of it every day. I tried to get the same angle and attempted to get direct sunlight in each photo. Below is a slide show of my five photos. I got lucky for sunlight each day even though there were a few rain showers to work around. I shot all of these using a 200mm focal length at wide aperture in order to blur out the background as much as possible. My technique was to get as close to the flower as possible and still focus at 200mm. With direct sunlight I was able to get a really fast shutter speed, so the wind blowing the flower was not a problem. Not sure that I completely love the quality of bokeh that I get with this lens. I also have plenty of pink rose bushes in the yard, but I like the yellow one best. Maybe it has something to do with Texas and yellow roses. I also have a big dog that likes to sit on a picnic table and bark at birds.